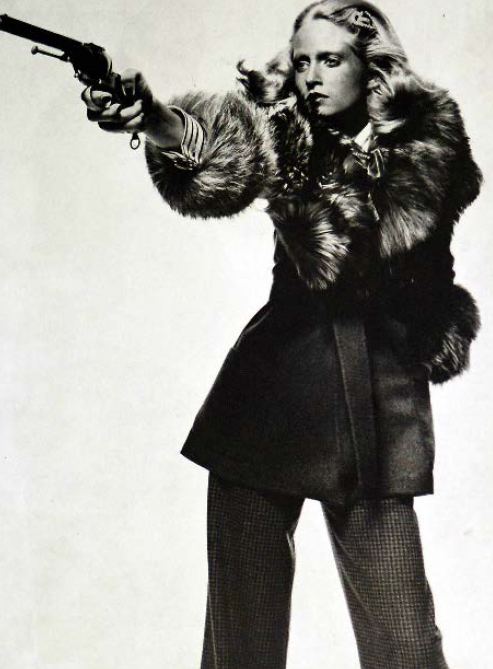 Jean-Luc Godard once quipped that “all you need for a movie is a gun and a girl.” By that measure, the Valentino Haute Couture Fall/Winter 1971/1972 campaign shot by Chris Von Wangenheim was superbly cinematic. Riffing on the era’s “radical chic,” as Tom Wolfe dubbed it, Von Wangenheim posed models Isa Stoppi and Jeanette Christiansen with matching berets and shiny revolvers. Eyebrows, needless to say, were raised. But if Von Wangenheim’s concept was counterintuitive, for a high fashion campaign, it was entirely of a piece with the German-born, New York-based photographer’s alluringly outré oeuvre. Von Wangenheim’s star has faded since his tragic death in a car accident in 1981. But throughout the 1970s, he reigned as one of the key image-makers in fashion, and alongside Guy Bourdin and Helmut Newton, he helped to establish a subversive new tone. His influence continues to be felt today. Gloss, out this month from Rizzoli, is the first complete monograph of Von Wangenheim’s work, and it ought to restore his reputation: Authors Mauricio and Roger Padilha have compiled a wide range of shots by Von Wangenheim, everything from his cheery early work with Anna Piaggi at Vogue Italia to his risqué shots—outtakes from editorials for the likes of Harper’s Bazaar andVogue—of models such as Gia Carangi and Christie Brinkley. Von Wangenheim managed, at once, to capture both the hedonistic dazzle of Studio 54-era New York, and the fraught energy of the city at large. 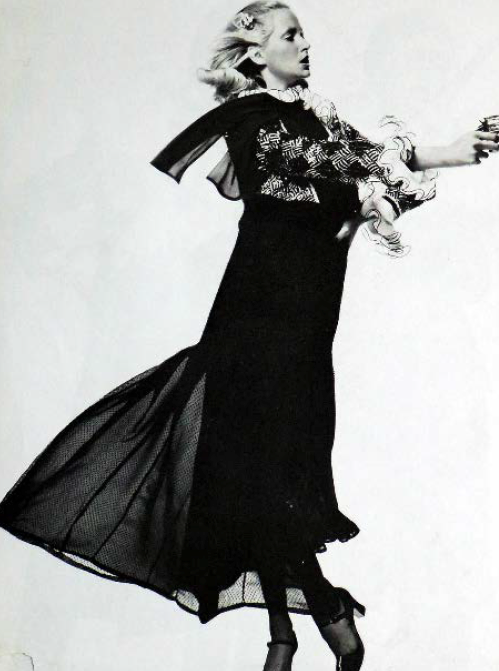 There’s an undercurrent of danger to many of his images—an attitude he made playful in that pistol-brandishing Valentino campaign, but which he drew in darker colors elsewhere in his work. Whichever mode he was working in, though, Von Wangenheim never shot an un-beautiful photo. His shots were as polished as a Valentino couture look, which accounted for their glamour, and like Mr. Valentino himself, he was a committed formalist. 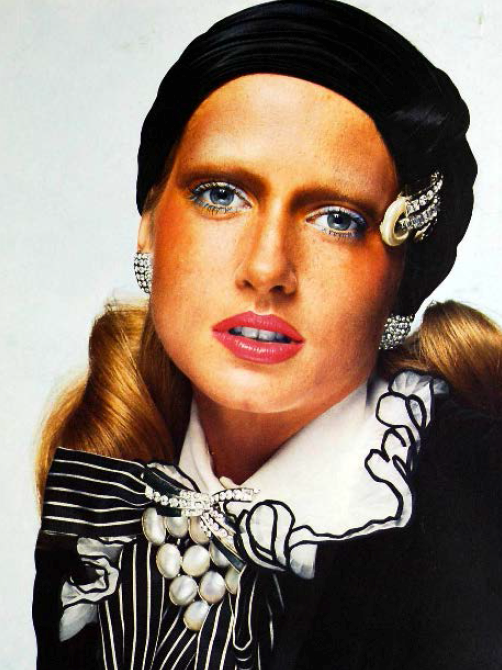 Von Wangenheim’s subversive streak gave his images their potential to shock; his painterly technique provided those images with their staying power.